Might we have seen the end of two formerly formidable, now faded heavyweights last night? We’ve surely seen the last of Bermane Stiverne, who has no possible way back from the quick first-round blitzing he fell victim to against WBC ruler Deontay Wilder, and we may have seen the end of British heavyweight Dereck Chisora – at least at top level. Beaten by defending European champion Agit Kabayel in Monaco, 33 year old Chisora could not cope with the 25 year old’s speed and boxing skill. Out-pointed by scores of 115-113 and 115-114, the third judge having it all even at 114-114, Chisora fell to 27-8(19). Germany’s Kabayel, who was making the first defence of the European title he won back in February, is now 17-0(12). In typical defiance, Chisora inisted he is not done, however. 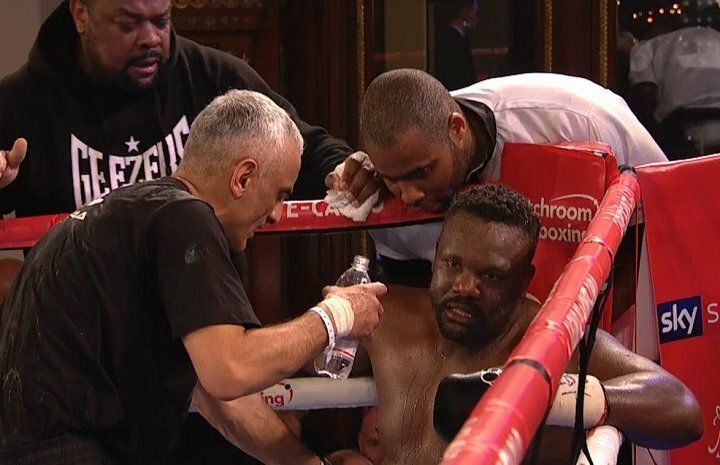 But can Chisora, who has been involved in a number of hard, gruelling fights during his now 10-year pro career (11 years in Feb.) bounce back one more time? It could prove to be a long road back to another title fight of any kind. As for Kabayel, he is a solid all-rounder and at age 25 he has plenty of time on his side. It would be interesting to see him in there with a bigger name.